First thing that comes to my mind as I prepare to write this testimonial of Inter HECS' services is 'thoroughly professional'. Inter HECS is a company that is professional in their approach and thorough in everything it does. Thanks to Inter HECS the application process of the university of my choice became so much easier. The professional team of Inter HECS took care of everything as their team led me through every step. I highly recommend Inter HECS for all who consider to study in Bulgaria. I would really like to thank each and everyone at your company and look forward to a long and prosperous relationship during my stay at Plovdiv Medical University. Special thanks to Mr. Dimitar whom I felt gave me a personal guidance through this whole process. I really appreciate your help. I don't think there's any agency that can match up to the quality of Inter HECS! Fast, trustworthy and reliable. All your needs are taken care of at no extra cost - they're like a forever promise to be there throughout your stay in Bulgaria! Thank you, Inter HECS! I applied for admission into MU-Plovdiv through the official representative - Inter HECS Ltd. On contacting Inter HECS, I was immediately given a lot of direction by the informative staff and also a quote was sent to me quickly, which was tailor made for me and addressed my requirements. The online step by step system made it very easy for me to track my application and the team would reinforce any deadlines, send me task reminders, repeatedly ask if I required any assistance etc. The staff at Inter HECS are warm, friendly and so sincere. They also spoke to my parents after which my parents felt more secure about me going to a foreign country. The fact that Inter HECS look out for you and are willing to solve any problems you encounter once you are at university is something that stands out for me. It can be a daunting experience moving away from family and friends into a different country but knowing someone is always there to help you and for you to talk to is a huge relief! Through Inter HECS, I also was able to attend the university open days and speak to staff members from the universities and this enabled me to get any questions I had about the university, course etc answered. Furthermore, on the submission of my documents, Inter HECS went to MU-Plovdiv and got me an admission letter within two days, which really put us at peace! I cannot recommend Inter HECS enough! The staff are really considerate, helpful and go above and beyond to make sure you are happy and to fulfill your dreams! I just got enrolled to Medical University Sofia by Inter HECS and I had no issues whatsoever. They made my transition from my country to Bulgaria a piece of cake! Their staff are very responsible and their quick replies to all our doubts is what fascinated me. Definitely recommend them!!! Inter HECS is an absolutely amazing team who all work extremely hard in order to help people achieve their ambitions. The best thing about them is that they do it from the bottom of their heart and really want to help no matter what, which is what makes them stand out. Its not just about the money for them but is about making each individual's dream come true. I am extremely happy that I came across Inter HECS and met Dimitar, Inter HECS' Manager International Students, as I have not regretted my decision in letting them help me since. The opportunity to become a doctor is the biggest thing that could've happened to me and Inter HECS are the reason why I am currently able to work towards my dream. They are always there to help and reply back ASAP no matter what time of the day (even out of working hours), they always reassured me and calmed me down EACH time I panicked (which was almost all the time), they were happy to meet me and my dad whenever we needed to and each time I had a problem with my application they solved the problem for me straight away! Even now that I am a student THEY STILL WANT TO HELP!! I cannot put into words how great they are and how thankful I am. Especially Dimitar, thank you so much for the help and support you have provided me with. I WOULD DEFINITELY RECOMMEND INTER HECS!!!! I have never ever heard a bad word about them but in fact always positive things from every student who has used them :) Keep up the awesome work, you guys are genuinely GREAT!!!! Inter HECS helped me transfer from Semmelweis University in Hungary to Medical University of Sofia. I have the deepest personal respect for Inter HECS team, and sincerely believe they bring their unique energy, optimism, passion, and tireless efforts to fulfill their work with Medical University of Sofia. Beyond their commitment to carry out required procedures with University faculty departments and derive the best possible results, Inter HECS management has a personal attitude with students helping thus to adapt to Bulgarian community and culture. They have my highest endorsement. Inter HECS is the best agency to work with when you want to study in Bulgaria. Compared to other German agencies, they take a lot less money and are still there for you even after the application process is successfully completed. I definitely recommend Inter HECS and I would always go with them again! If you write an email, they answer immediately and always try to help! Thank you so much for helping me study medicine at Sofia Medical University!!! Inter HECS has been a very reliable, prompt and friendly agency I was fortunate enough to contact with my desire of studying medicine. They have been very honest and informative right from the start and treated us as a family member. All information about the steps of application, advice regarding documents and time scale of applications were all dealt with very professionally. Meeting Dimitar and his colleagues on various occasions helped us build a rapport with them which gave me and my family the confidence to go to a foreign country to study medicine. Their website kept us informed of open day events both in UK and Bulgaria. This enabled me to meet other students from the university which has helped me to settle in. Their team has provided me with guidance throughout our journey and this has been ongoing even after admission to the university. I would certainly recommend Inter HECS to anyone interested in studying in Bulgaria in order to have a smooth application process. 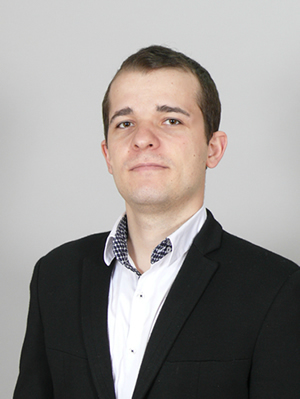 As a current student of Dental Medicine my worries of going to university abroad were taken away by Dimitar, Inter HECS' Manager International Students. The team made my transition to university abroad extremely easy for me and sorted everything out from the beginning to the end. Inter HECS' students still keep in touch with the Inter HECS' team and they never break their promises. Overall, my experience with Inter HECS was a pleasant and relieving one and I'm happy to be part of the family. Thank you very much Inter HECS for your ongoing help and support. Helped in every step of processing application, airport pick-up, apartment hunt, sim card, bank account etc. Good response at any time. Answers and suggestions are highly appreciable. I recommend Inter HECS hundred percent. Best agency ever. Always with us like family. Thank you Dimitar, Stefani and your team. All the best, Inter HECS. We had a fantastic service with regard to our daughter's admission in Sofia Medical University. Your service was excellent by taking care of all aspects of the admission process right from day one, which includes all information regarding admission, responding to all our hundreds of emails, phone calls. You, Monica and your team were always at our service. We really appreciate the way you organised open day in London, the way you and Monica took care of us in Sofia when we came for entry test, the preparatory training courses for entry test and also the enrollment process. We never had any anxious moment through out our dealing with you and your team. I am confident that you are approachable any moment even now. I would like to take this opportunity to thank you, Monica and your team for the great service Inter HECS offered. If you are looking for a professional agency which can help you start your studies without any stress in Bulgaria, then Inter HECS is your best choice! The team of Inter HECS are extremely kind and supportive. They will help you with everything you need. I can not thank God enough for helping me to find Inter HECS. Without the help of Inter HECS I would never be able to come and study in Sofia. I am very grateful to them! Really helpful, good communication and friendly. A great support to have when you are a first year. It's the stress free way to apply to university, as they do everything for you, in the application process. Inter HECS is a very competent company which managed to help with my case in a very short time. I was going to lose an year at Medical University - Sofia because of personal issues, but thanks to the professional assistance provided by Inter HECS and their compassionate attitude I was able to continue my education without any further setbacks. Thank you, Inter HECS! Inter HECS is the best agency to work with. Their step-by-step procedures keep you at ease. Avoids all the confusion and hassle. I have no words for Inter HECS' Manager Dimitar. He helps you no matter what the problem is. Like a brother. Sticks to his words and offered the services he promised us. Inter HECS is one of the best agencies out there. The Inter HECS staff are always around to help you for anything even after you get into university. Genuinely good people who have your best interest at heart and the best services anyone can offer! After not being able to get into dentistry in the UK, Inter HECS reassured me that I would still be able to become a dentist. They made everything easy and aided me through every step of the process. The online portal was a great way to keep track of where I was in the application. Now I am in Sofia and Inter HECS are still helping me even though I am in! Applying through Inter HECS was super easy and very organised. Not only the application process was easy but the help received in Bulgaria was amazing. Could not thank them enough, really recommend it. It was really cool to do the application procedure with Inter HECS. Got a lot of help and all my questions got answered by Dimitar immediately. First, I was a little suspicious about it and not sure if I would get my place but it all worked out. Gotta recommend Inter HECS to everyone who wants to study in Bulgaria. I have first-hand experienced the service provided by Inter HECS and I can honestly say there is not a single negative thing I could say about them. Тhe Inter HECS team are amazing and extremely hard working! They have been very supportive during my application to study in Bulgaria, they have guided me through each step of the way, are always available if I have any questions and most definitely made my transition from the UK to Bulgaria very smooth. I cannot thank the Inter HECS team enough! I recommend them to anyone thinking of studying in Bulgaria! Inter HECS is a life saver. Dimitar and his team were very polite, fast and ready to help anytime. My decision to enter the Medical University of Sofia was taken on time but Inter HECS made it easy. I really recommend anyone who wants to start studying in Sofia to trust Inter HECS. Whenever you need something, you can just call Dimitar (Manager International Students at Inter HECS) straight away. Whenever you need something, they are always there to help you. They don't just sign you up and leave you alone. They are there for you. Inter HECS is definitely the best choice if one decides to study in Bulgaria. Whenever I had a question (and I had many...) I got an answer pretty fast, while they were always friendly and patient. Inter HECS is cheaper than for example German agencies, while doing a much better job! It's very helpful that one can see the remaining steps of the application process on the homepage, once logged in. As I applied to university super late, I wouldn't have been able to study in Sofia now without the help of Inter HECS. They work absolutely fast and structured, not only with the application but also with everything that has to do with living in Bulgaria, for example opening a bank account, getting a sim card, finding a suitable apartment and so on. To everyone out there who is still wondering which agency to choose, go for Inter HECS, they are absolutely the best! Inter HECS is a reliable and fast-replying agency. It makes you feel like part of a big family. I can recommend it to anyone who comes to Bulgaria for studying. You will never be alone and you will always have something like family here to support you and help you if you are in need of something or if you have a problem. Good job, Inter HECS! I’m extremely glad I found Inter HECS after struggling to secure a place in a U.K. dental school. I was secured a place in Sofia within moments and the application process was made very easy by the lovely and helpful Inter HECS team! Explaining everything clearly, also guiding and advising me with all my application and university concerns were just a few of the many services they offer. The team also helped me with settling and adjusting to life in Sofia; referring me to, as well as helping with the applications to the most convenient bank accounts, mobile networks... even suggesting the best places to go for fun and leisure activities for myself as a student in this city. Inter HECS have given me another chance in life to pursue my dream career as a Dentist and to this I’d like to express my utmost gratitude to the team as a whole for being amazing and outstandingly helpful! Inter HECS is the best agency that you can pick to work with. They don't rip you off like some of the other agencies do. Their services are awesome, they sorted out our documents and made every step very easy while other students did not have a clue of what they were doing. Inter HECS helps you like you are family and not just a client. That is something what I would say is special about them. If any of you are on the fence about whether to work with Inter HECS or not, I would 100% recommend them. At first I was quite sceptic about using an agency to deal with my application to a foreign university. However, this company is one that puts your mind at ease. I had a short time frame to apply to study at Sofia Medical University but the Inter HECS team were very professional and dealt with my application rapidly with no hassle. They are a company that always put their clients at the top of their lists, and will always be there for you for any problems or worries you may face over the course of your study at the University. Inter HECS are a great help and are always there when you need them. They will help you with any problem you may have and the application process was smoother than I could ever have imagined. If you are looking to study abroad, don’t waste time and go with Inter HECS. Many agencies tried to offer me a place. However, the differences are.. 1) Other agencies had broken promises 2) Inter HECS is based in Bulgaria… around 2 minutes walking distance from the university whilst others are based in the UK which means they wouldn’t be able to help you whilst your abroad 3) They reply instantly! It’s like they don’t sleep! From translating documents to legalisation to submission of documents to the university, they handled everything. When I arrived in Sofia, I didn’t realise where to go, a message to Inter HECS was all that was needed with a reply before getting out of border control. Whenever I need any help, they are there for me- which is something all students need when studying abroad away from family. Thanks to Inter HECS I am now studying at Medical University- Sofia! Thank you Inter HECS for all your help. Special thanks to Dimitar and Stefani for your constant guidance throughout the process of applying and now. If you're looking to study in the EU, don’t hesitate to contact Inter HECS ASAP! I would like to thank Inter HECS for all the support and help during my enrollment but also after the application process and whenever I was facing any obstacles. I really recommend Inter HECS for enrollments in Bulgarian universities. The decision to go with Inter HECS was just the best! I have enjoyed my journey with them, the entire process was smooth and straight forward. The speed of their response is super fast so you are always well informed of what is happening during each step. Very friendly but yet professional staff (the main man Dimitar, to mention some more, Stefani and Monika), these are great people who are always willing to go extra mile for you. I would definitely recommend them, you will not be disappointed! FIVE STARS FROM ME!!! They take care of the students as well as the parents, in every step, in Bulgaria. Good job, well done, Inter HECS! Keep it up and God Bless! I wouldn’t know where I would be without Inter HECS! I would honestly recommend them to anyone who is trying to apply abroad. They helped with everything from translating documents to prepping for the entrance exam. They made everything so easy and because of them I can now study Medicine at Sofia Medical University. Even now they are still helping me and they always reply quickly whenever you need help. The online portal was so helpful and had everything set out for me to understand, I was never confused with what was needed to be done. I’d like to thank Inter HECS for all the help they provided: 10/10, 5 stars, A1 quality - if anyone has intentions of applying to Bulgaria or anywhere in EU I’d recommend Inter HECS over all other agencies! To say Inter HECS are good at what they do would be a severe understatement. The agency is extremely organised and efficient. I am yet to see an agency do, what they do, as well as they do it. During my application, they were extremely supportive and helpful, they made sure that no question I had big or small went unanswered. They made sure I was always in the loop and well informed as well as occasional calls to ensure I had no questions. The people there are committed to making sure that the application process is smooth and as easy as it possibly could be. The most important thing however is how they look out for their students making them feel comforted and calm. I could get a hold of them at any time of day with even the smallest of concerns or even just for a chat due to nerves. During my correspondence, not once did I feel I wasn’t being listened to or brushed off. They were always more than happy to offer reassurance and comfort when needed. The application process was clear and concise and the one or two times that I had a query they addressed it immediately on the same day. They also created guidelines for future students soon after on their website to ensure in future this information was accessible. I could never imagine the process being as easy and straightforward as they made it. Moving to a new system and country never seemed easier and more seamless than they made it. Special mention to Dimitar Tsikandelov and Stefani Tsikandelova who were very kind and made the process so much easier. I believe that having their reassurance and knowing they were taking care of my application truly helped put my mind at ease. Seeing their friendly faces during events and get togethers definitely made me feel I was making the right decision and their unwavering support certainly helped aid that feeling. I'm a parent, and I used Inter HECS to get my son into Plovdiv Medical University. Inter HECS are the best. That sums it up. Don't bother looking elsewhere, seriously. Inter HECS are a ONE STOP SHOP. They will guide you from start to finish and are extremely honest and professional. Just have faith and leave it with them. Dimitar (my brother from another mother) is a STAR. The dude was available 24/7, no idea if he ever slept. Thank you once again Dimitar. A HUGE thank you to you and your team. I decided to contact Inter HECS Ltd because it is an official representative of Plovdiv Medical University and I am glad I did so. The Inter HECS team is extremely supportive, professional and reliable. The friendly Inter HECS staff always gave me and my parents detailed information and have been responsive whenever we contacted them about any queries throughout the application process. Additionally, the Inter HECS website is informative and I believe the online step-by-step system is a great way to track one's application. Moving to a foreign country to study can be intimidating for yourself as well as for your family, but thanks to Inter HECS Ltd me and my parents feel at ease as the team is trustworthy and helpful throughout your stay. I am extremely grateful to Inter HECS Ltd to have provided me with assistance for my Medical School application, thank you so much! I would definitely recommend Inter HECS Ltd to anyone planning to study in Bulgaria.